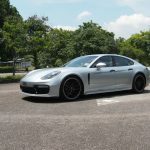 Porsche has a brand new Panamera in a number of variants. We take the might 4S for a test drive. 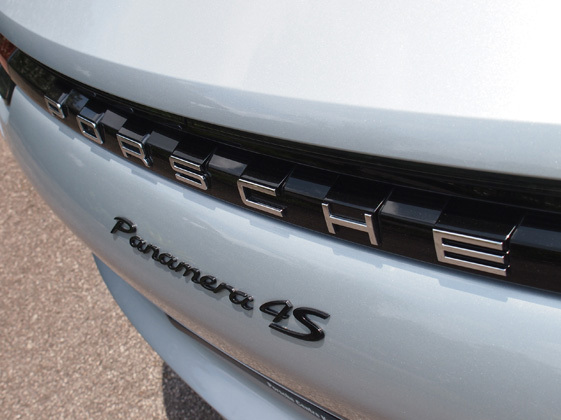 To understand where the Panamera 4S sits we need to look first at its immediate competitors. In Malaysia there is only the one real rival, the Mercedes-Benz E63 S that has 603hp and a maximum torque of 850 Nm. Its power is available over a broad engine speed range of 2,500 to 4,500 rpm and provides an assured feeling of effortless performance in every accelerator pedal position. A sprint from zero to 100km/h takes only 3.4 seconds, and acceleration only ends at the governed top speed of 250km/h. This special E-Class sells for just RM998,888……however it does not carry the brand cache of the Panamera. 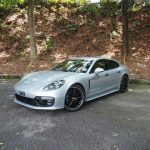 Despite the E63’s AMG styling and impressive performance, the street credit is not as high as Porsche’s, especially in Malaysia where the affluent who ‘play’ in this segment desire branding over real performance when they buy expensive engineering. 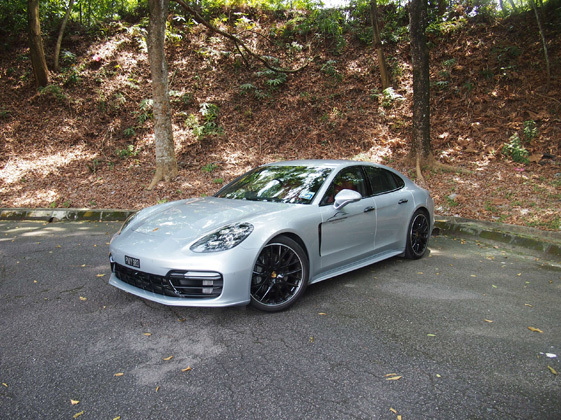 This is why the Porsche RM1.1million price tag does not seem to far fetched. We could say there is another rival…..a quiet contender. The new Maserati Quattroporte GTS which sells for RM1,139,000. The Quattroporte GTS is powered by an inspirational 530hp 3.8 litre Ferrari-produced V8 Twin-Turbo engine with rear wheel drive. This Italian sedan is capable of a peak torque of 710Nm with a top speed of 310km/h, accelerating from 0 to 100 km/h in just 4.7 seconds, just a tad slower than the Panamera. Now this is a car with street cred to match the Panamera and almost similar performance. Yes, it is. 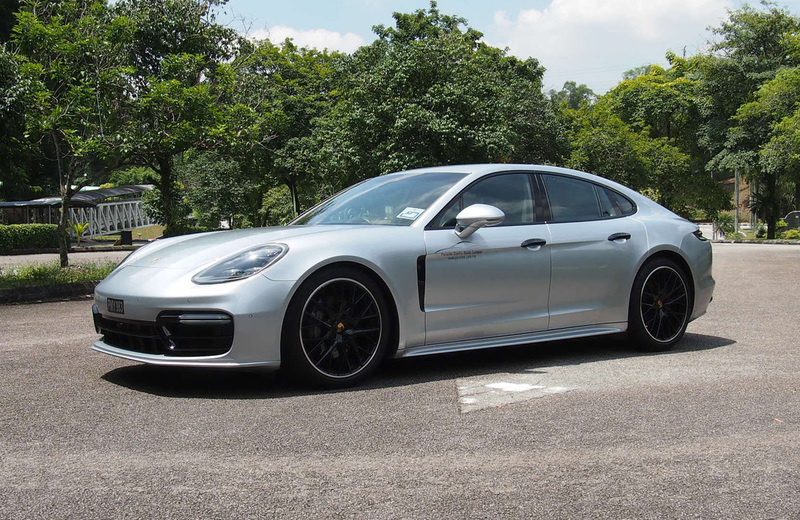 The exterior of this Panamera has been sharpened. It is based on very dynamic proportions. 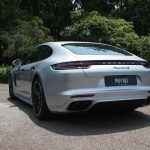 The new Panamera is 5,049 mm (+34 mm) long, 1,937 mm (+6 mm) wide and 1,423 mm (+5 mm) tall. Despite the slight increase in height, the four-door car looks much lower and longer. 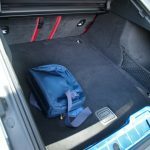 This is primarily due to the reduced height above the rear of the passenger compartment – reduced by 20 mm, while maintaining consistently good headroom. This changes the car’s overall image completely. 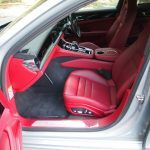 The wheelbase has been increased by 30 mm to 2,950 mm; this too lengthens the car’s proportions. The front wheels were shifted further forward, reducing the front overhang and making the prestige dimension – the distance between the A-pillar and the front axle – even larger. The rear overhang is longer, giving the car a more powerful appearance. 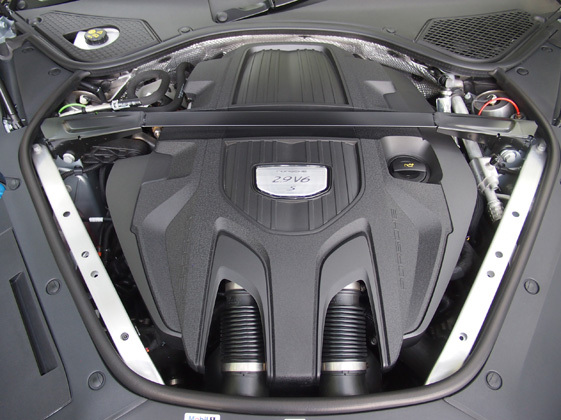 This Panamera has only grown six millimetres in width, but it feels like several centimetres. 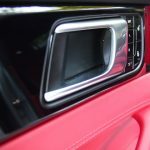 This effect is created by such features as the A-shaped air intake, which extends out to the sides and creates a completely new front-end design. At the same time, a precisely designed crossbar in the radiator grille emphasises the car’s width. The arrow-shaped bonnet over the engine accelerates this visual effect further forward and lower than before – due to the prominently contoured powerdome, whose lines now reach into the bumper. The lower front end was enabled by the new compact construction of the engines in the vehicle concept. 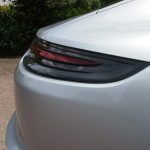 To the left and right of the powerdome, the bonnet blends precisely into the stronger flares of the front wings, a typical Porsche design trait. Also exuding confidence is the look of the LED headlights with their four-point LED daytime running lights. Do we love the completely new cabin? Yes, we do. 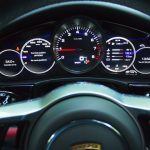 Porsche has completely revised the cabin look and feel starting with the center console. 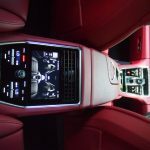 Black panel surfaces and interactive displays combine a clear and intuitive user interface like that of smartphones and tablets with the practical requirements for controlling the car. Classic and conventional instruments have been reduced significantly. 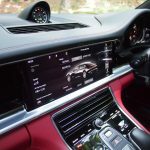 They have been replaced by touch-sensitive panels and individually configurable displays which take centre stage in the new Porsche Advanced Cockpit, with great benefits for the driver as well as the front and rear passengers. 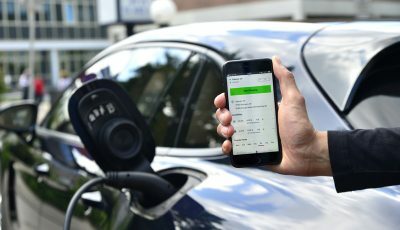 Despite a significantly extended range of communication, convenience and assistance systems, different functions can now be used and operated more clearly and intuitively. The Porsche Advanced Cockpit transforms the analogue world into the digital present of mobility, while leaving room for passion. 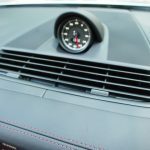 The tachometer, positioned centrally in the instrument cluster, is a tribute to the 1955 Porsche 356 A.
from the low seat position typical of sports cars, the driver now not only sees a fascinating front-end landscape of the car’s wings and powerdome, but also two 7-inch displays that are placed directly in the driver’s line of sight for ideal ergonomics. 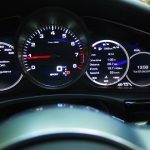 Located in the middle of these two displays is the tachometer, which is still an analogue instrument. 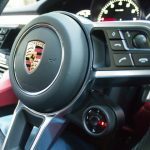 Meanwhile, the gearshift console between the driver and the front passenger is dominated by the 12.3-inch touchscreen of the next generation Porsche Communication Management (PCM) system. The driver and front passenger can configure this display individually. 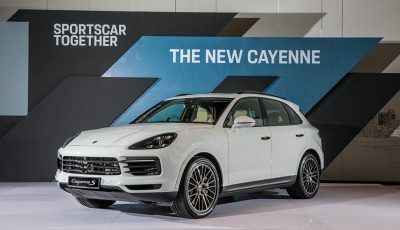 Naturally, this is integrated into the PCM: Features such as online navigation, the online functions of Porsche Connect, smartphone integration via Apple Car Play and a new voice control system that responds to natural language input. 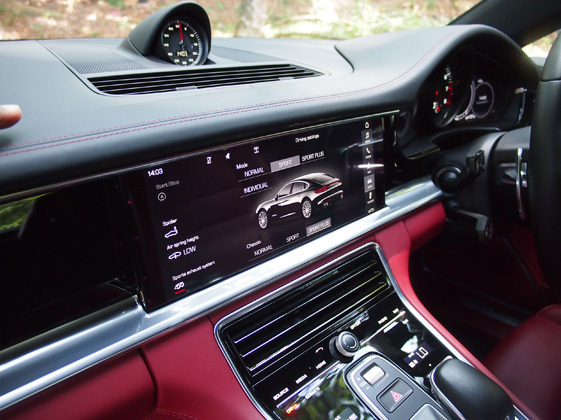 The PCM area with its high-end, high-resolution display – transitions harmoniously into the black panel concept of the centre console with a shift-by-wire gear selector for the PDK. 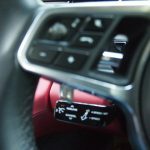 A new control panel with touch-sensitive switches on the centre console enables intuitive control of various functions. A great new feature is the louvres of the central air vent which are electrically adjusted by touch-sensitive sliders. 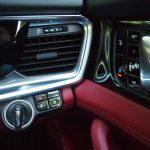 Rear passengers can control air conditioning and infotainment functions using a four-zone automatic climate control system. In addition, this new Porsche Panamera offers the best layout variability of any model in the luxury class, making it the most practical for everyday use with a 40:20:40 split of the folding rear bench backrests (495 to 1,304 litres of luggage capacity). 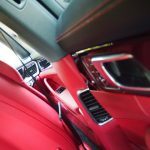 Raising the comfort experience of the Panamera to an entirely new level are new luxury appointments such as the panoramic tilt roof, massage seats, ambient lighting and a 3D high-end sound system from Burmester. How does it entertain the driver? 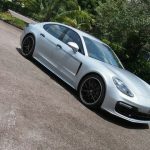 The Panamera 4S takes all the nimbleness of a lighter V6 engine and adds all-wheel drive for a more engaging drive. 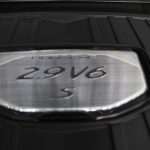 The new 2.9-litre motor in here displaces a little less than the standard model, but in terms of output, it’s an even more of a monster. 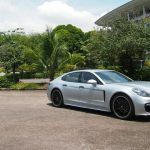 The Panamera 4S gives you an additional 110hp and 100Nm from the base Panamera for a total of 440hp and 550Nm of torque, thanks in most part to the engine’s twin turbochargers. And you will hear it too. Both the growl of the V6 and the roar of the quad exhausts are delectable. They keep rewarding you every time you treat the 4S like the 4 door supercar it is. And with its 6800rpm redline, you know there’s plenty for your ears to enjoy. Thanks to its advanced all-wheel drive system, the Panamera 4S puts down its power like nothing else. 0-100km/h is achieved in 4.2 seconds (with the Sports Chrono Package) and you’ll do 289km/h by the time you’re in 6th gear. The 7th and 8th gears on its PDK (dual-clutch transmission) are there for a nice and healthy high speed overdrive. It’s not just acceleration from a standstill that impresses. In the 4S, you can jump from 80km/h to 120km/h in less than 3 seconds! You can imagine just how great this car will perform on trunk roads. 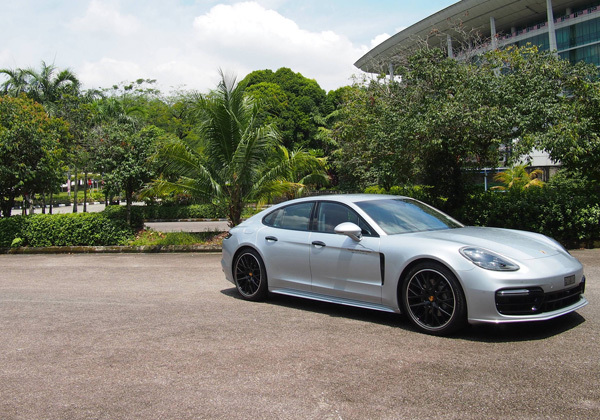 Similar to other Panamera models, the 4S also comes with a deployable spoiler. Not only does it look cool, but it adds downforce at high speed to keep the car planted through corners. 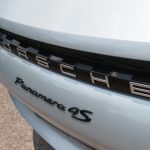 So, why is the Panamera 4S the most balanced given how extreme the figures seem to suggest it is? 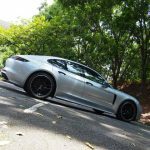 Well, besides sitting somewhere between the 4-litre V8-powered Panamera Turbo and the standard Panamera, the Panamera also offers a more reasonable road tax and fuel consumption. 8.1L/100km may not sound like much, but it’s better than what many premium sports SUVs and sedans can offer with this kind of performance. 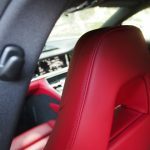 A luxury saloon that can take to the race track? This new Panamera chassis also unites the cruising comfort of a luxury saloon with the performance of a true sports car. 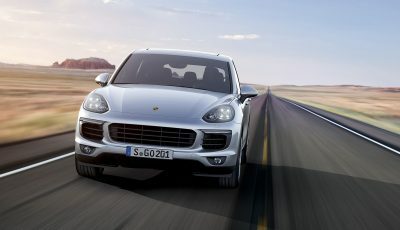 This is achieved by supplementing the impressive basic layout with optional innovative systems such as an adaptive air suspension with new three-chamber technology, including Porsche Active Suspension Management (PASM electronic damper control), the enhanced Porsche Dynamic Chassis Control Sport (PDCC Sport) system including Porsche Torque Vectoring Plus (PTV Plus) and active roll stabilisation, as well as a new electromechanical steering system. 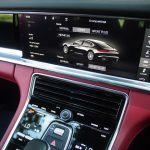 The integrated 4D Chassis Control system analyses and synchronises all chassis systems in real time and optimises the road performance of the new Panamera. 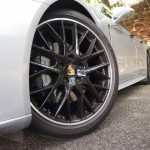 Porsche is also taking the steering precision and handling of sports cars into the class of Gran Turismo cars with rear axle steering – which is also new and has been adapted from the 918 Spyder and 911 Turbo. Brake performance has also been improved. At just over a million ringgit? 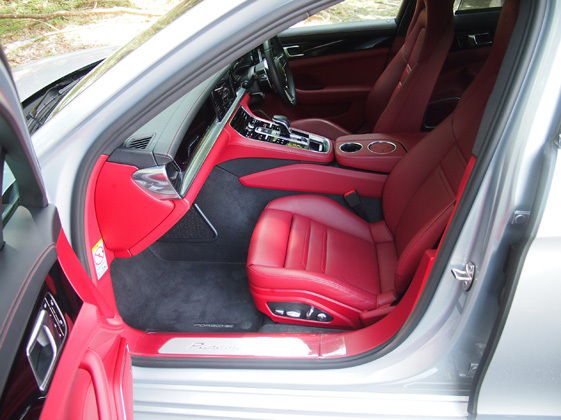 And at the end of the day, the Panamera 4S is still a comfortable luxury saloon with a huge amount of legroom. Even if you rarely spend time at the rear, the cockpit design is just pure Porsche. Minimalist, high-tech, luxury with the kind of precise build quality only Porsche can deliver. The 4S is for those who appreciate a sense of balance to everything in life. Comfort with sportiness. Power with efficiency. Modern with classic. The only supercar that can replace your daily. But don’t take our word for it, visit the nearest Porsche Centre to you and find out more about the new Panamera 4S sports saloon for yourself.